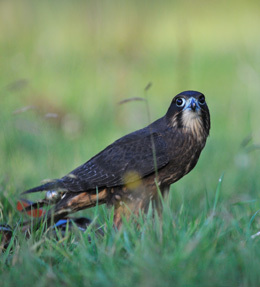 Falconry is hunting wild quarry in a natural state with trained birds of prey. It is one of the oldest forms of hunting and is practised in many countries around the world. 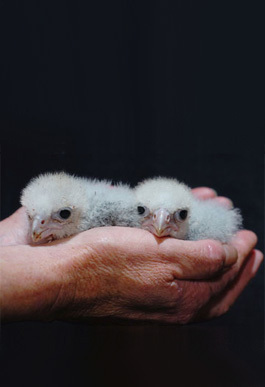 Falconry worldwide currently involves the use of both wild birds and domestically produced birds, including captive breeding from permanently injured wild birds. 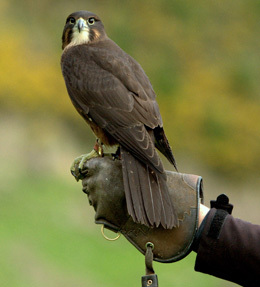 When visiting the Wingspan National Bird of Prey Centre you enter the world of falconry. In our museum you will learn about the history of this ancient practice and at 2pm every day we showcase falconry techniques during our unique flying displays. During these displays you will see the spectacular flying skills of falcons and hawks as they stoop and chase the falconer’s lure. If you're lucky you may see a falcon chase and catch its prey! During your visit you will learn about falconry around the world, the various species used and how Wingspan uses this age-old art to help the conservation of the threatened New Zealand falcon. Hosted visits are now available on Mondays, Thursday and Saturdays by appointment. Best time to arrive is by 11.30am in the carpark for visitor sign in. You will then be taken to the Falconers Shed, for an introduction about the Wingspan conservation programme, followed by falcon in-flight training at midday.